Visit any time you want with a discounted and open-dated ticket, valid anytime within the museum hours! Just show the code to the ticket office and they will give you the passes to the Mind Museum. 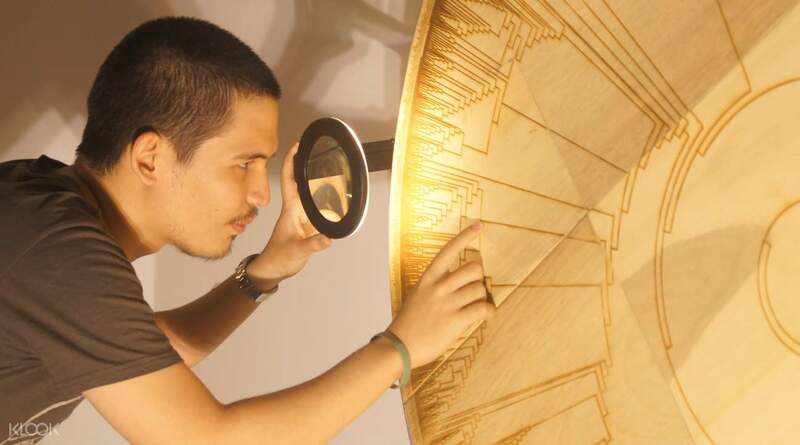 Discover the secrets of the universe and feel science come alive with a visit to The Mind Museum, the first-world class science museum in the Philippines. With a 5,000-square meter exhibition space filled with 250 different interactive exhibits, this museum is the place to be for all science buffs and enthusiasts, both children and adults alike! Get access to all the exhibits and the five different galleries inside with this discounted all day pass that can be redeemed any day you want! Just purchase the ticket on the Klook website/app and show your voucher at the entrance, any time during the museum hours, and you're good to go. Check out the five regular galleries inside the museum: Atom Gallery, Life Gallery, Earth Gallery, Universe Gallery and Technology Gallery, each filled with key details about the science of life as we know it. Once you're done exploring inside, make sure to stop by Science-in-the-Park, a nature exhibition outside the museum that showcases the beauty of nature. 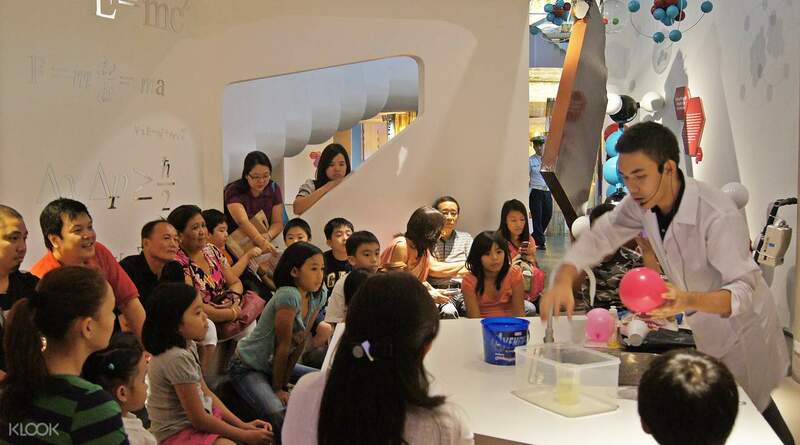 Enjoy a fun day of learning with a visit to The Mind Museum in Bonifacio Global City! Book now on Klook for an exclusive discount with instant confirmation! Mind Museum makes learning and understanding Science, regardless of one's age, much easier and more fun. The interactive activities are enjoyable and they have a more effective way of making you understand and remember the complicated periodic table of elements. 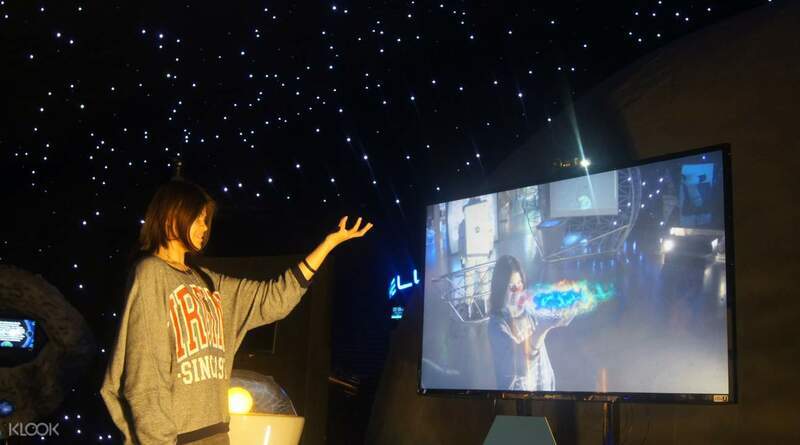 And do not miss the Science demo! Mind Museum makes learning and understanding Science, regardless of one's age, much easier and more fun. The interactive activities are enjoyable and they have a more effective way of making you understand and remember the complicated periodic table of elements. And do not miss the Science demo! Kid or Adult, doesn't matter. We had so much fun 😍 And it was a bonus that we came here on a weekday and it wasn't too crowded. It was a good way to introduce kids to Science, Geography and more. We enjoyed the Science park outside too! Kid or Adult, doesn't matter. We had so much fun 😍 And it was a bonus that we came here on a weekday and it wasn't too crowded. It was a good way to introduce kids to Science, Geography and more. We enjoyed the Science park outside too! I personally enjoyed my visit. I brought my family together with my nephew and niece. The place is okay and a great refresher to all we have previously learned from school and for kids to discover new things. However there are also a lot of stuff that needs repair, maintenance, or even replacement. Hoping this gets attended to by the Mind Museum management. I personally enjoyed my visit. I brought my family together with my nephew and niece. The place is okay and a great refresher to all we have previously learned from school and for kids to discover new things. However there are also a lot of stuff that needs repair, maintenance, or even replacement. Hoping this gets attended to by the Mind Museum management. The mind museum is good for educational activities. During my visit, there were many students from different places having their educational tour. I ecplored all the galleries inside. You can take lots of pictures. The mind museum is good for educational activities. During my visit, there were many students from different places having their educational tour. I ecplored all the galleries inside. You can take lots of pictures. My son had a big surprise of his life! Hes a science enthusiast and he loved every bit of The Mind Museum! The place is very informatoive, well organized, well designed, and very accommodating. A place to be for both you and adults who love science! My son had a big surprise of his life! Hes a science enthusiast and he loved every bit of The Mind Museum! The place is very informatoive, well organized, well designed, and very accommodating. A place to be for both you and adults who love science! It is always convenient and easy when I book using Klook. NO hassle on the long lines.. we got the unlimited hours plus the space adventure. It is indeed cheaper than walk in. So not only you save money, you also earn points that you can use as additional discount on your next adventure booking with Klook. The only thing I dont like is when we watch the “Beginning” (a 12-15 min show) there was no Voice Over. It would have been helpful especially for the kids to understand more. Mind Museum is very informative for children. Highly recommended And I Strongly suggest to book with Klook. It is always convenient and easy when I book using Klook. NO hassle on the long lines.. we got the unlimited hours plus the space adventure. It is indeed cheaper than walk in. So not only you save money, you also earn points that you can use as additional discount on your next adventure booking with Klook. The only thing I dont like is when we watch the “Beginning” (a 12-15 min show) there was no Voice Over. It would have been helpful especially for the kids to understand more. Mind Museum is very informative for children. Highly recommended And I Strongly suggest to book with Klook. It was very fun and exciting. I personally liked the experiments in the Atom Gallery, as well as the interactive sections of the museum. The life sized pieces are also visually pleasing to the eye. Definitely a go-to place if you’re looking for a family bonding experience. It was very fun and exciting. I personally liked the experiments in the Atom Gallery, as well as the interactive sections of the museum. The life sized pieces are also visually pleasing to the eye. Definitely a go-to place if you’re looking for a family bonding experience. When you reserved here at klook, it’s really affordable! Take note! It’s all-day pass, unlike when you register at their physical store, there are instances that they will only limit your visit within the given time frame. When you reserved here at klook, it’s really affordable! Take note! It’s all-day pass, unlike when you register at their physical store, there are instances that they will only limit your visit within the given time frame. SUPER GREAT DEAL! Getting in was such a breeze, we just presented our mobile voucher and got our wrist tags immediately. It was our first time getting here and I can say that it's really worth your time. You can learn and discover a lot of things while taking photos. 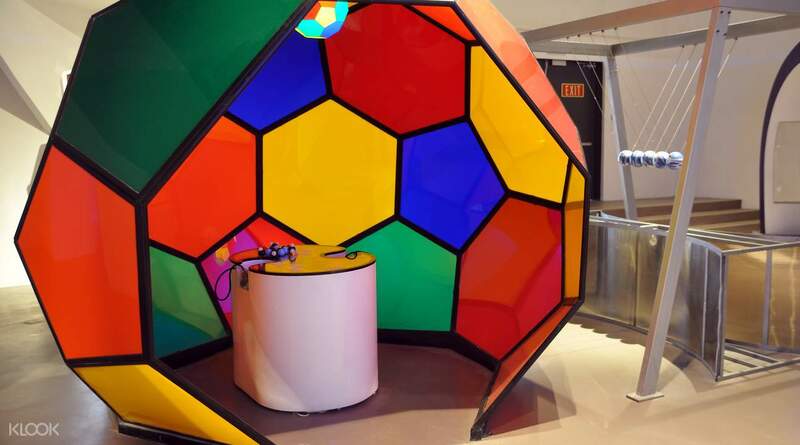 The Mind Museum is a visual treat for people hungry for knowledge. My favorite sections of the museum are the Universe gallery and the Light Bridge. Walking under a blanket of stars felt so surreal. SUPER GREAT DEAL! Getting in was such a breeze, we just presented our mobile voucher and got our wrist tags immediately. It was our first time getting here and I can say that it's really worth your time. You can learn and discover a lot of things while taking photos. 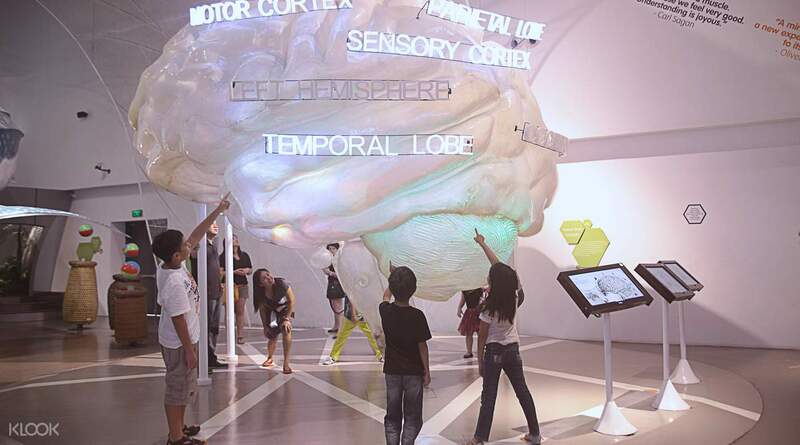 The Mind Museum is a visual treat for people hungry for knowledge. My favorite sections of the museum are the Universe gallery and the Light Bridge. Walking under a blanket of stars felt so surreal.